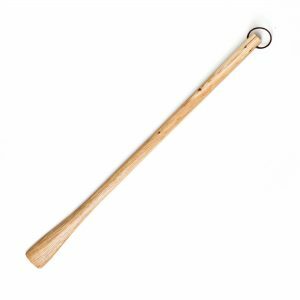 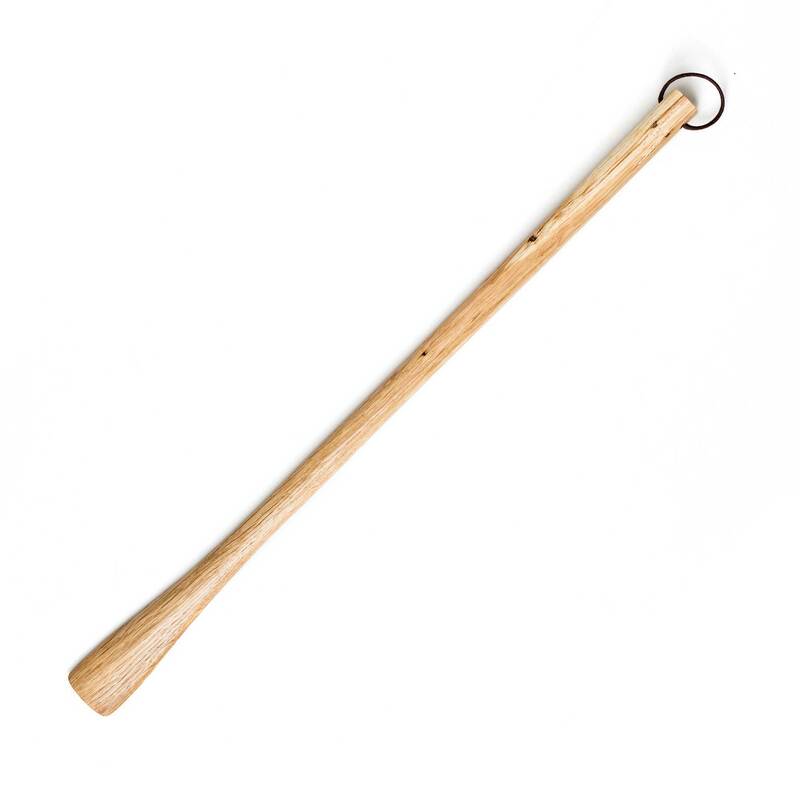 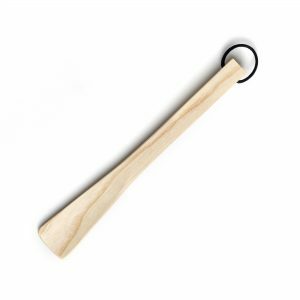 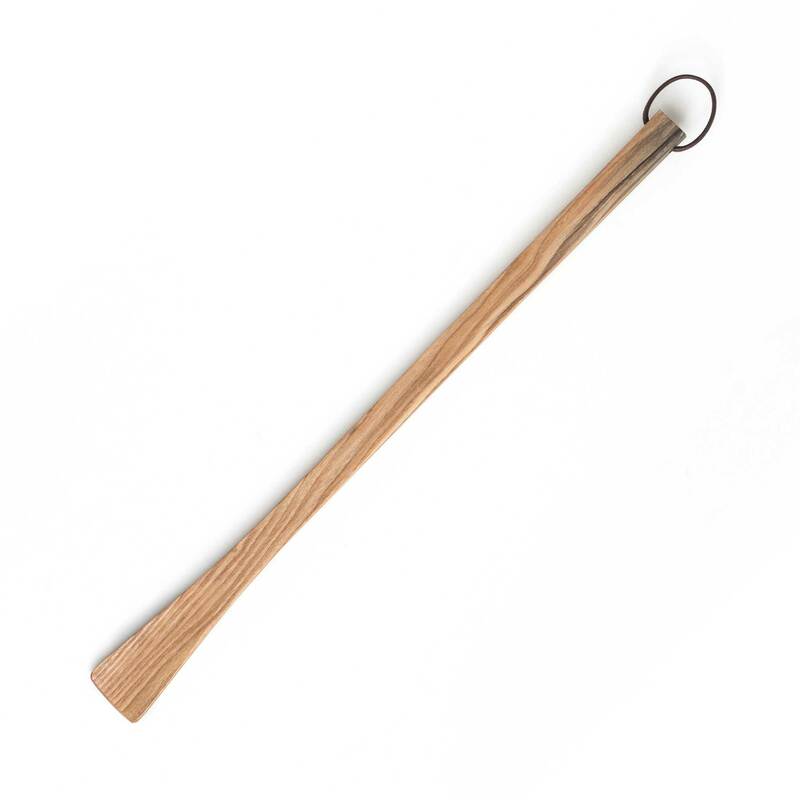 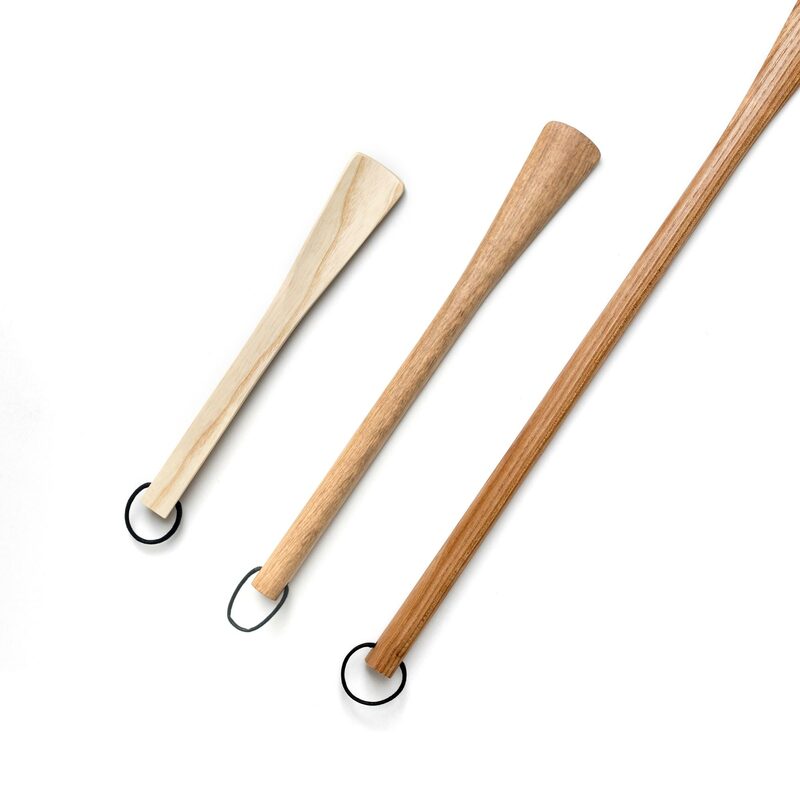 A simple and elegant wooden shoehorn with a round strap for hanging. 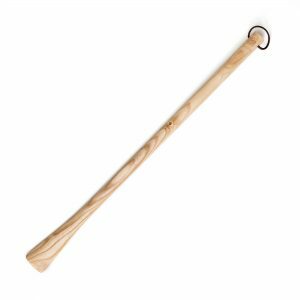 This piece has existed in many different lengths, but is currently offered at 60 cm. 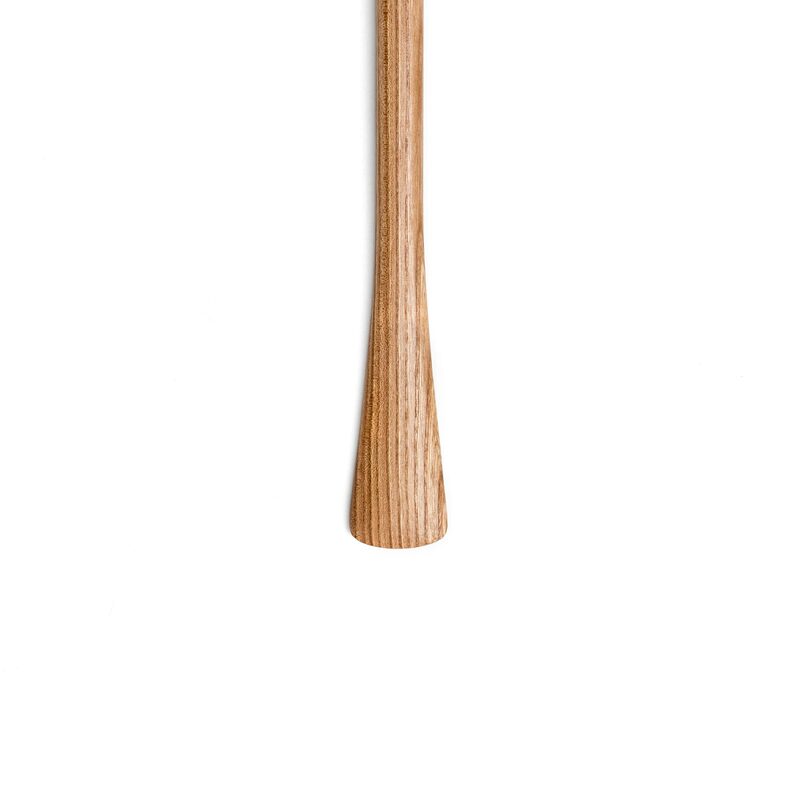 You can still request a shorter one. Finished with waterproof oil wax. 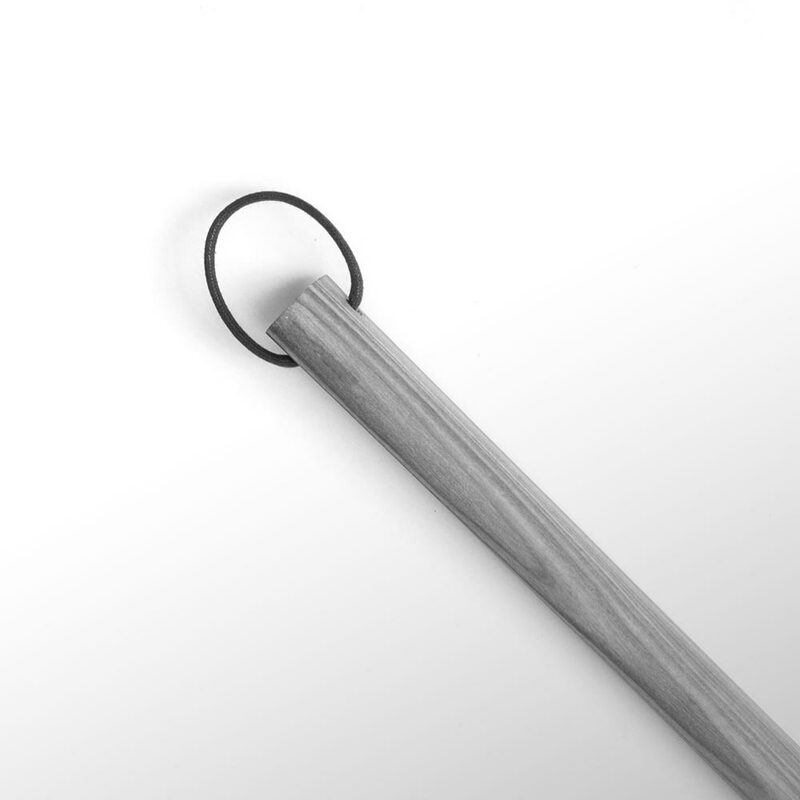 No colouring.